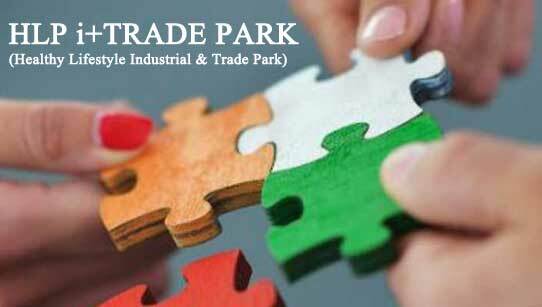 HLP i+TRADE PARK it's an innovative industrial park that combines knowledge and R & D with industrial production and sustainable agriculture, quality of life and personal well-being and environmental quality with the digital trading and business internationalization. HLP i+TRADE PARK actualized Industrial Park concept and allows the immediate internationalization of projects and resident companies through sharing of assets and necessary know-how in our exclusive Global Free Trade Zones (cross-border, logistics, payments, regulatory management and related customs procedures). Xu Ming'en, the principal for developing the biomaterial 3D printer "Regenovo", shows the living tissues printed by the 3D printer in the laboratory of Hangzhou Dianzi University in Hangzhou, capital of east China's Zhejiang Province, Aug. 7, 2013. Researchers in Hangzhou Dianzi University invented a biomaterial 3D printer called "Regenovo"in recent days, which could print out human tissues in smaller proportions. The printer has become the first 3D tissue printer with Independent Intellectual Property Rights (IIPR) in China. Special printers used to produce objects by following a computer blueprint in "additive manufacturing", Cheng Yingqi reports. Anew industrial process is taking off in the Chinese aviation industry as scientists and industrialists exploit its advantages in the research and manufacture of commercial and military aircraft.